A state-owned Alaska corporation that launches rockets developed by other entities will soon conduct its first commercial launch. Alaska Aerospace, based in Anchorage, plans to test-launch a commercial rocket from its Pacific Spaceport Complex on Kodiak Island in the coming weeks. John Cramer, chief of staff at Alaska Aerospace, would not say who owns the rocket but did say it is "a new space company" from California. The launch will let the company test its rocket and gather data toward the goal of perfecting it. For the test, the rocket will not carry a satellite or go into orbit. It will splash down in the ocean, Cramer said. "When new launch companies start up they're going to have a number of launches that are tests for the vehicle," Cramer said. "They'll gather just volumes of data to perfect the vehicle to be able to then launch non-test vehicles for payloads." The California customer hopes the launch will happen between March 26 and April 6, though the time frame could change, Cramer said. Alaska Aerospace also is planning for about five other launches this year, Cramer said, most of them commercial. Alaska Aerospace was established by the state "to develop a high technology aerospace industry" in Alaska, according to its website. Its core business is space launch. 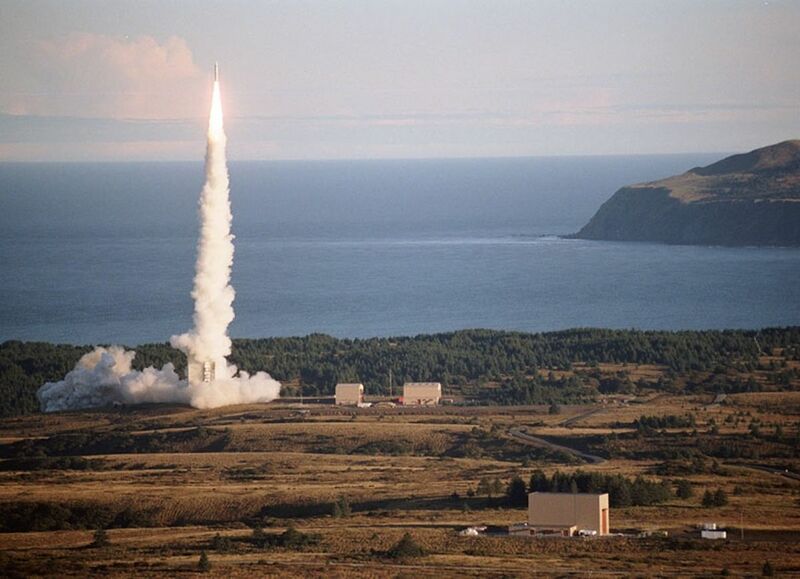 Since 1998, the corporation has hosted 19 launches from Kodiak, not counting a failed launch in 2014. All were government-related, Cramer said. The company has had two rocket launches, both last summer, since the failed 2014 launch in which a rocket exploded. The explosion and the damage it caused led the company's board to pursue more business opportunities for the spaceport complex, Cramer said. When that incident happened, the company didn't have anyone else under contract. "The board and president/CEO said … should we take a look at other opportunities and figure out, OK, once we have facilities back in condition for a customer, what customer base are we going to be able to draw from?" Cramer said. Alaska Aerospace then emphasized marketing to the commercial sector. One appeal of the Kodiak site for companies, Cramer said, is that because it is not a federal range, operations there aren’t controlled by the government. It’s also one of only two places in the U.S. capable of launching into polar orbits, he said. The corporation also has other commercial customers under contract and interested in doing launches from the Kodiak site, he said. Launches from the Kodiak site are always unmanned, Cramer said. The facility isn't capable of conducting manned flights.